Developing a wheelchair management solution that enables greater oversight, improved access, and a reduction of loss it may be possible ensure that the Atlanta VA is making the best use of resources, human and financial, in providing its Veterans with the highest level of dignity and service. 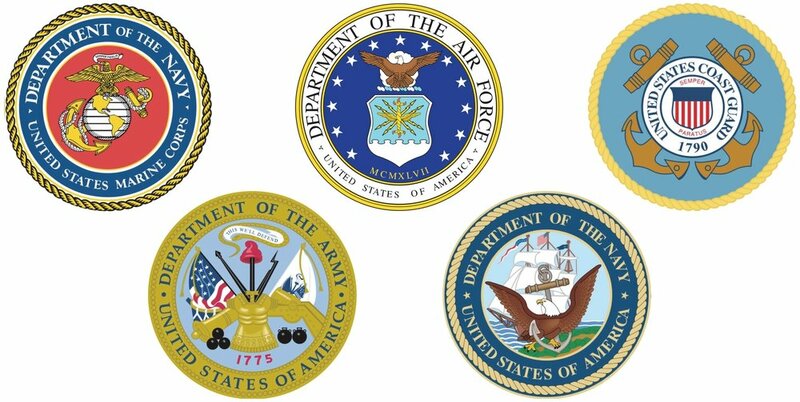 The national VA system is made up of 22 unique regions nation wide. Region number 7 is comprised of Alabama, Georgia and South Carolina. Of that region, the Atlanta VA Medical Center (AVAMC) is one of the largest hospitals and serves the largest number of veterans in the state of Georgia. Within the AVAMC, wheelchair loss is a significant issues. Each year, inventory is lost and uses up unnecessary staff time and portions of the operational budget. This problem is not unique to the VA System and is a problem at hospitals nation wide. To begin the research process, our team held and introductory meeting with AVAMC leadership to understand the need. We then conducted site observations, an extensive literature search, tours of the AVAMC site and interviews with staff. Following observations and interviews, a thorough research synthesis was performed in order to put together all of the piece of information gathered by our team. Specific methods used included stakeholder analysis, journey mapping, 2x2 matrix analysis. One of the key insights we learned from this is that while the needs of veterans were being considered throughout AVAMC, their needs were not being as considered when it came to wheelchairs. We also found multiple points within the system where chairs were being lost. Is a low cost version that uses the wheel chair flag pole to add an aesthetic quality to the chair. In addition, the concept would be themed to heighten a sense of patriotism for its users. Revolves around the a complete redesign of the AVAMC parking garage where the majority of chairs are places. 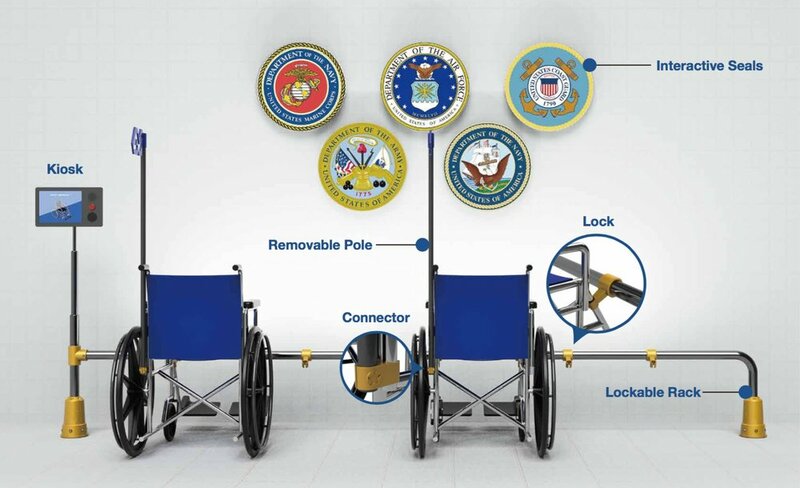 This would include an RFID controlled wheel chair kiosk and have incorporate the military branch of the user into the interaction to heighten their loyalty to the chair. Utilizes a an embeded GPS system into each chair. This would track the unique location of each chair and would alert a central system when a chair was approaching the limits of the AVAMC facility. This is also the most cost intensive concept. The final concept combined the strongest elements from the 3 concept presentation. This included a the use of patriotic elements, RFID badging technology and environmental changes to elevate the perceived value of the wheelchair. As an element of this campaign, we also proposed an internal branding and marketing campaign to introduce the new system. Integral to this would be the use of Veteran iconography, wheel military seals and WWII Victory Posters. Many of the veterans expressed deep loyalty both to their branch and the armed forces. By drawing on this existing loyalty to patriot imagery, it could increase the success of positive system-wide adoption.